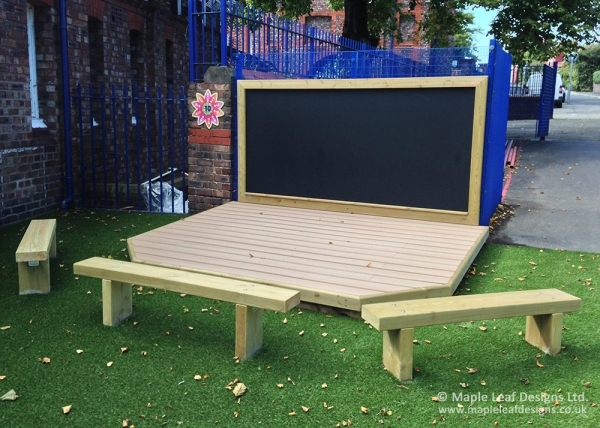 We manufacture play stages in various sizes but our most popular is our 2.2m x 2.2m stage with two chamfered front corners. The main picture depicts a stage in hexadeck but we also offer the stage in Millboard or Safa Deck. This stage is also perfectly matched with our 2.2m x 1.2m magnetic chalkboard and timber bench seating, as above.